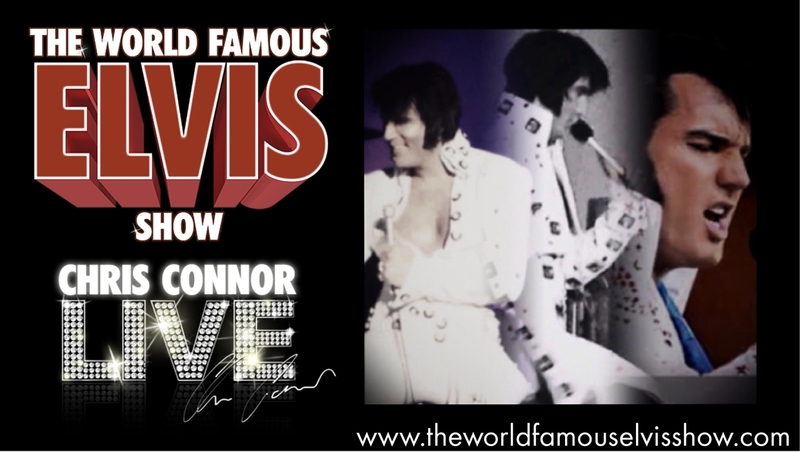 The World Famous Elvis Show - starring CHRIS CONNOR! The World Famous Elvis Show - starring CHRIS CONNOR! Endorsed by The Telegraph - 'The best Elvis tribute show in the World' Starring and produced by world renowned Elvis performer CHRIS CONNOR. With his 12 piece live band 'THE STEELS', & backing vocals by ' The Sweet Harmonies' . A magnificent 2 hour theatre production, recreating 2 popular Elvis Presley concerts. Voted by the first ever world wide Elvis Presley fan poll as - The greatest Elvis Tribute in the World ! - awarded in Memphis. 'wow that boy is good he looks just like Elvis with the same energy on stage "
"Chris Connor is to me the closest thing to the King I've ever heard and ever seen in my life. I'm in shock, it's simply amazing…." " I have been following Chris Connor career - he is simply the best out there "
Starring and produced by world renowned Elvis performer CHRIS CONNOR. With his 12 piece live band 'THE STEELS', & backing vocals by ' The Sweet Harmonies' . A magnificent 2 hour theatre production, recreating 2 popular Elvis Presley concerts. This show respectively and authentically recreates ELVIS at his very best recreating 2 concerts! - selling out in all theatres! If you were not lucky enough to see Elvis live, you will walk away from this concert feeling that you have! many Elvis fans are left emotionally moved when they leave the show. There is only ONE Elvis Presley, however fans all around the world are talking about CHRIS CONNOR who is remarkably so very close to Elvis in both looks and voice and mannerisms. This show is made by Elvis fans for Elvis fans. You seriously do not want to miss this electric show! ".